We provide individualistic private chauffeured tours tailored to each individual. We will collect you from the place of your choice. 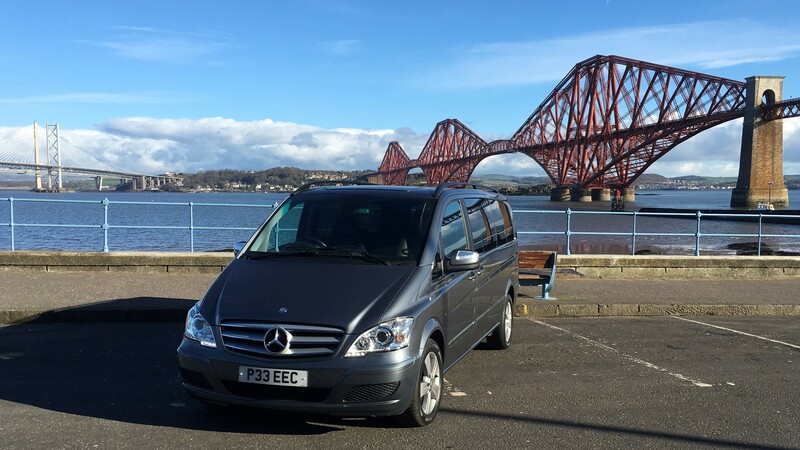 Sit bit and relax and enjoy the beautiful sites of Scotland and England in one of our luxurious vehicles. Your own personal highly experienced executive chauffeur will take you to the destinations of your choice. 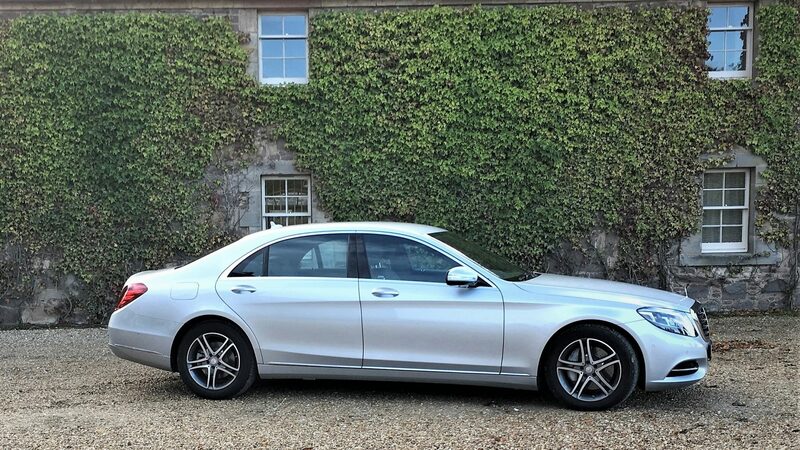 Specialising in luxury Mercedes vehicles, all chauffeured driven cars are extremely comfortable and spacious. Please view our testimonial below and our testimonial page to see what our clients have to say about our chauffeur driven services. 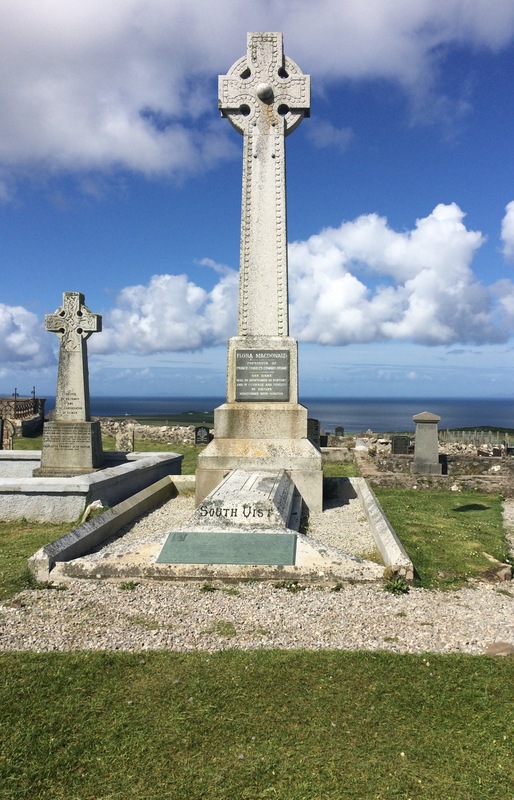 Scottish Ancestry Tours Travel back in time with an ancestry tour. Would you like to walk where your ancestors once walked? Connect with your heritage with Edinburgh Executive Carriages. We can provide a family tree for you to explore your families history. 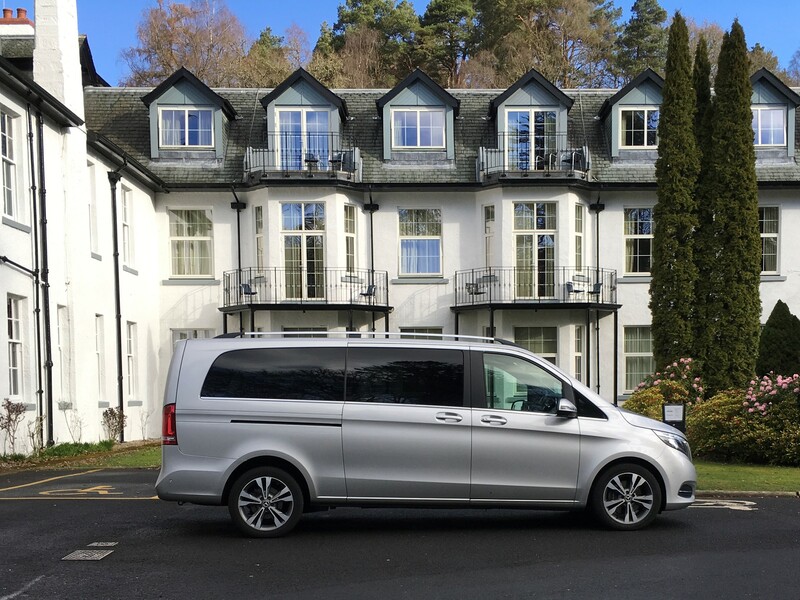 Combine a sightseeing tour with your own specialised ancestry chauffeur who has researched your family’s tree to take you around the beautiful places of Scotland where they once lived. Find out where you came from in style. One of our most popular tours, booking recommended early to avoid disappointment. 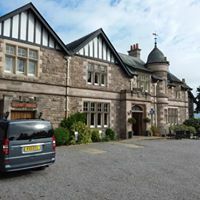 “I just wanted to take a moment to express my deep appreciation for the very kind service that both Shaun and Allan provided to Denise and I during our stay in Scotland. Shaun’s patience was very appreciated as he had to endure our delay in the flight from Dublin to Edinburgh, and then as he had to drive in the very heavy traffic leaving the airport. I am sure he was put several hours behind schedule and he was cheerful, polite, helpful and professional the entire time we were with him. Please thank him again for his service to us. Allan, too, was a consummate professional who represented your company so very well. I cannot express enough how impressed I was with the research he did and the information he provided to me about my Scottish family history. What a fine gentleman he is to go to all that effort for me, a person he did not know and who he would only be with for one short day. 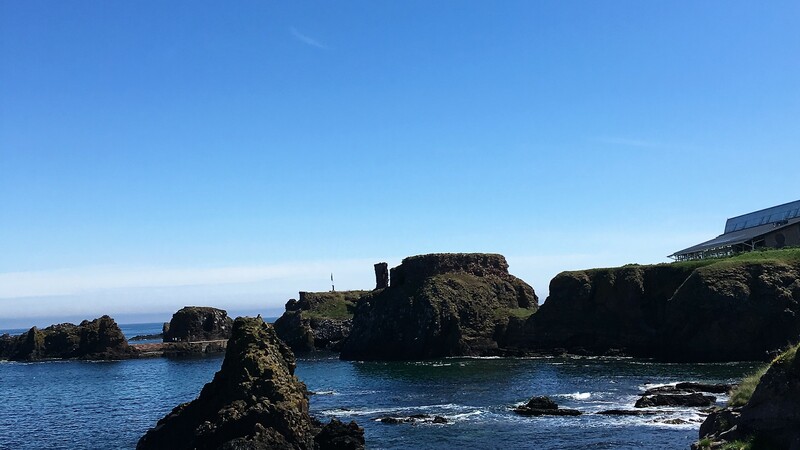 He was very informative during our driving tour and he took us to all the right places for us to get a sense of where my family lived, as well as a mill similar to one they may have worked in, and St. Andrews Golf Course and town – such a nice experience to have seen these areas! “We have used your Company’s limousine service for six days in a row. Both transfers and long range sightseeing trips were done under very comfortable conditions and super friendly atmosphere. We are truly grateful to you especially with your extra efforts in organizing our trip in detail and delivering all in full precision and punctuality. We are very impressed by your finesse as well as by your true professionalism. We certainly believe that Edinburgh Executive Carriages needs better recognition and wider acclaim because it has a real devoted & caring runner/driver like yourself! Therefore, we will pass the good word to all interested parties heading your way”. A.Selcuker, President & CEO, SGY Inc. Please see below an example of popular places to visit, however tours are available all over England and Scotland that will be tailored to your individual needs. Full of beautiful historic scenery and has many wonderful visitor attractions. 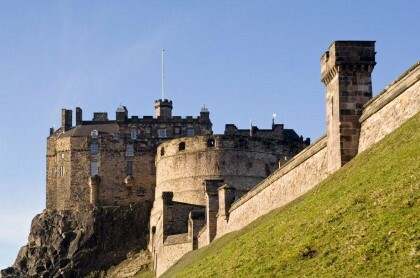 Whether you wish to visit one of the many visitor attractions such as the magnificent Edinburgh Castle or Holyrood Palace, spend time shopping on the famous Princess Street or George Street or enjoy lunch at one of Edinburgh’s many restaurants, you will find something for all of the family. The Edinburgh Festival takes place every year for three weeks in August and is one of the largest arts festivals in the world. Winter in Edinburgh is also full of lots to see and do. With an ice rink for kids and adults in Princes Street gardens, fun rides for children and Christmas markets, Edinburgh is a magical place to be. The famous Hogmanay celebrations welcome worldwide visitors. Visit nearby South Queensferry, enjoy a walk or lunch at lovely village, and view the Forth Road Bridge. Also visit Rosslyn Chapel. 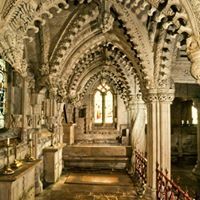 Founded in 1446 as a place of worship, Rosslyn Chapel has been an extremely popular destination for visitors for generations. Its profile publication of the worldwide best seller, Dan Brown’s novel, The Da Vinci Code, in 2003, and the subsequent film in 2006 made it extremely popular for visitors. In the story, the main characters, Robert Langdon and Sophie Neveu, investigate a murder in the Louvre and, in doing so, follow a set of clues to unravel a mystery, taking them to London and then to Rosslyn Chapel. Enjoy a sightseeing journey through Stirling, Fort William (passing Britain’s Highest Mountain, Ben Nevis) before arriving at Fort Augustus. Go hunting for the Loch Ness Monster ” Nessie” on a Boat Cruise or enjoy a walk (Boat cruise has an onboard bar) whilst Fort Augustus has cafes. On the way to Stirling visit Linlithgow Palace, The palace was one of the principal residences of the monarchs of Scotland in the 15th and 16th centuries. Stirling Castle is an ancient home of Kings and Queens and one of the most popular visitor attractions in Scotland. Most of the principal buildings of the castle date from the fifteenth and sixteenth centuries. One of the largest and most important castles in Scotland, several Scottish Kings and Queens have been crowned here, including Mary, Queen of Scots, in 1542. It was also the childhood home of Mary Queen of Scots and James VI and I. Experience the beautiful stunning views of Loch Lomond and the Trossachs National Park. 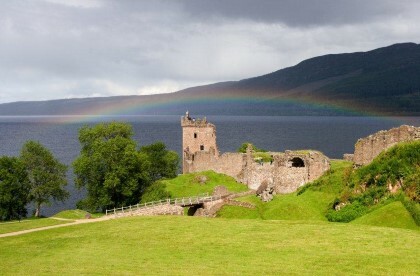 Loch Lomond is the largest body of freshwater in mainland Britain. It is an extremely popular destination for boat cruises, water skiing, bathing and picnicking or simply enjoying the breathtaking scenery and walks. You can also choose to take a tour of the 14th Century Doune Castle. Enjoy lunch in one of Europe’s most beautiful locations at the southern edge of the West Highland Fault, Aberfoyle. 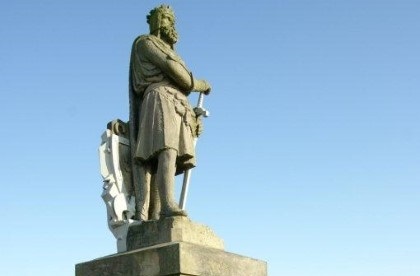 Combine your day with a visit to Stirling Castle and the Wallace Monument. Known around the world as the “Home of Golf”. Enjoy the beach, shops or golf of the beautiful town. Glenkinchie Distillery – Enjoy a guided tour and a dram of the 12 year old single Malt Whisky. Visit England’s largest lake, the stunning Lake Windermere. Enjoy lunch at Drunken Duck set high above Ambleside with dramatic views of the lake district. Light refreshments supplied as standard. We can also recommend hotels or bed and breakfasts. Free WiFi available in all our vehicles. Please note prices do not include lunch, cruises or visitor attractions. We also provide airport transfers from all UK airports. Please view our airport transfer page.